In December, Trump manufactured a 35-day crisis to spread his anti-immigrant agenda and build a racist border wall. 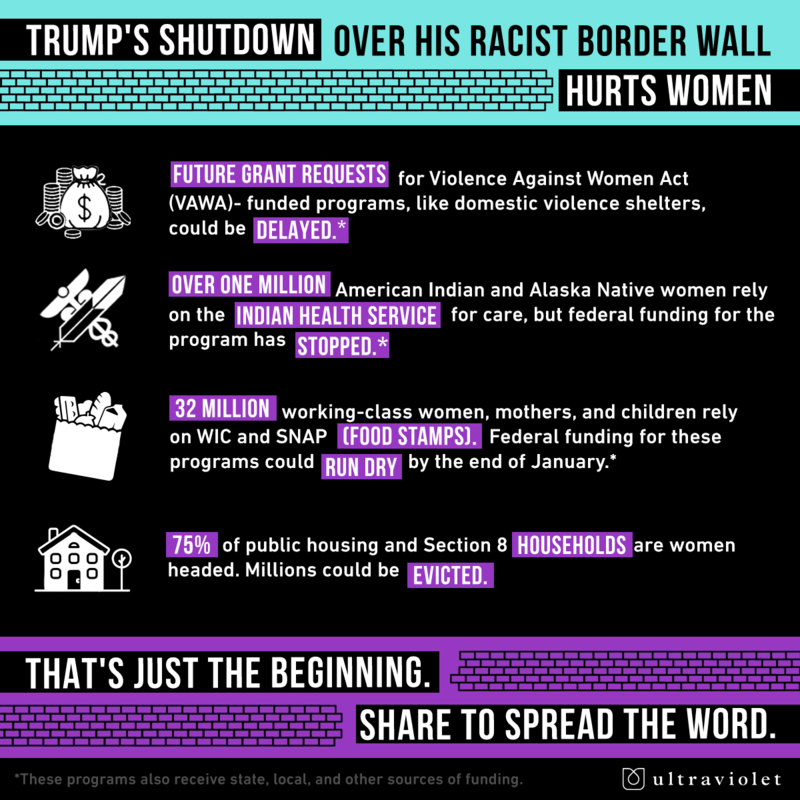 The Trump shutdown over the wall hurt women and held both women and immigrants hostage as political pawns. Share to spread the word. Trump held women and immigrants hostage over his wall. We should never compromise with Trump's anti-immigrant agenda. Trump manufactured a crisis to build a racist border wall, and women were bearing the brunt of the impact. The shutdown is over...for now...but if it continued, women would be worse off. Thanks for spreading the word about the #TrumpShutdown!